With these tours and day hikes in Torres del Paine you get to see the highlights of the park! In this article I introduce you to the best day tours & day hikes in Torres del Paine. In contrast to the popular multi-day treks you don't need to reserve a camping spot for these hikes which makes it a great alternative to the W Trek and the O/Circuit Trek. Since I visited the Torres del Paine National Park for the first time & without any pre-booked camps in 2013 the visitor numbers increased drastically year after year. When I returned in 2016 reservations for all campgrounds along the W & O Trek where needed in high season in order to trek those trails. Today you'd need to book all campgrounds months in advance to be able to do the multi-day hikes (find all info on this in my detailed TdP guide). The Torres (= towers) itself with the beautiful lagoon in front are the highlight of the park and the ultimate goal for all hikers doing the W or Circuit. Due to their location the hike is also doable in one day. If you are fit you can even come from Pto. Natales, do the hike and return with the last shuttle on the same day! The trek up to the “towers” is one of the day hikes in Torres del Paine you shouldn't miss for sure! If you are slower or want to take more time you should find an accommodation inside the park – for this hike the Hotel Las Torres is the perfect base as it is located right at the start of the trail. At the end of the article you can find more options for different budgets. One of the shorter day hikes in Torres del Paine can be found close to the Pudeto boat stop and offers magnificent views to the Los Cuernos mountains and the turquoise Nordernskjöld lake. On the way to the viewpoint you’ll pass by the waterfall Salto Grande („the big waterfall“) which is also definitely worth a few photos. The Eastern area of the park is still fairly off the beaten path, especially if you decide to hike out for a few km. At Laguna Azul you are able to see all 3 Torres from a completely different angle and if you are lucky you come across some Guanacos. After passing the lagoon you can hike further up north depending on the time you bring. When you drive back from Laguna Azul you should also use the chance to stop at another impressive waterfall called „Salto Paine“. …don't forget to stop by at the Paine waterfall on your way back from this day trek in Torres del Paine! If you are staying at the Hotel Las Torres you have the chance to go for horseback tours in the privately owned sector of the park. One option is to take part in this half day tour which offers magnificent views over the Lago Nordernskjöld. Alternatively you can hike from the Hotel Las Torres into the direction of the camp Los Cuernos for a few kilometers and enjoy the views over the lake form there. …one of the most picturesque horseback riding experiences I've had! From all the day hikes in Torres del Paine the challenging trek to the top of Cerro Paine is my absolute favorite for this incredible view which only a few people get to admire each year! This combination of hiking and horseback riding offers one of the most iconic views to the Torres with it's lagoon from above but is only doable if you stay at the Hotel Las Torres as the viewpoint is located in the private sector of the park (which is owned by the Hotel). But honestly….I found it worth it to stay at the Hotel just for this incredible view. You need to come fit and start early in order to make it to the highest. After covering the first few kilometers on a horse you need to hike up to the top of Cerro Paine at 1,500m and will be rewarded with the most incredible panorama which makes one of the best day hikes in Torres del Paine! Unfortunately I ran out of time to do some more day hikes in Torres del Paine off the W or circuit trails. This short hike should definitely be on your list as it offers another unique view from the opposite part of the park. The hike itself is a steep one as you face an ascend/descend of 700m on a distance of just 1,5km. One of the highlights you shouldn't miss in Patagonia is getting up close to a glacier. This boat tour takes you to the impressive Grey glacier where you can enjoy a pisco sour with glacier ice and might see ice calving into the Lago Grey. If you are interested in this experience you should reserve your spot in advance via the official website. Please keep in mind that it takes about 1,5h to drive to the Hotel from Laguna Amarga ranger station. Best would be to stay at Hotel Lago Grey and connect this trip with the hike to the Ferrier lookout! …and use the chance to have a Pisco Sour with glacier ice! If you only have a limited amount of time I highly recommend considering this full day tour in Torres del Paine as it takes you to the most breathtaking viewpoints in the park. Despite the fact that I hiked in almost all sectors of the park I loved this organized tour for the incredible photo opportunities along the way. You can book it online in advance (this particular tour even includes the Milodon cave on the way back to Pto. Natales!). In case you want to see Torres del Paine starting and finishing in El Calafate there is also a day tour option. Be aware that the distance covered is much longer, therefore you should calculate with about 15h for this day tour. …with short hikes here and there in this incredible setting! In order to make the most of your time in Torres del Paine I highly recommend staying inside the park. This way you avoid the long driving times between Puerto Natales and the starting points of your day hikes in Torres del Paine (the park is located 112km out of Puerto Natales). On top of that you are only able to take part in some of the mentioned day tours if you stay at a certain hotel (e.g. Cerro Paine & horseback tours). The big downside of staying in this beautiful setting is the high price tag which isn't affordable for everyone, therefore I included some affordable options which are located just outside of the park & in Puerto Natales. All Hotels listed here are pricey but offer great location and excellent services inside the National Park. Hotel Lago Grey (***) – located in the westernmost part of the the park the Hotel Lago Grey offers comfort paired with some great options to see the Grey glacier up close and explore some of the most incredible viewpoints in the area. The following options are located right next to the Serrano park entrance just before the Visitor center in Villa Serrano and are way more affordable. Vista al Paine Refugio – this solid B&B offers a range of private accommodation options as well as a dorm for those on a tighter budget. Pampa Hostel – this cozy, modern hostel offers beds in 4 bed dorms with shared bathroom facilities and has a great view to the mountains of Torres del Paine. A rich breakfast is included which makes it a pretty good deal! Even though Puerto Natales is quite a drive from the National Park it has its advantages: accommodation is much cheaper and you can choose from a range of restaurants, cafés, bars, supermarkets and shops. Yagan House – The eco hostel named Yagan House was my home for almost 2 weeks and is the perfect starting point for your hiking adventures. I liked the relaxed atmosphere and the cozy common areas – due to the interior it somehow felt more like a mountain lodge than a usual hostel. Hostal Treehouse Patagonia – similar to the Yagan House this hostel offers privates as well as dorms in a very cozy, modern atmosphere. Toore Patagonia (***) – those of you who want more privacy should look into booking one of the comfortable, neatly designed bungalows at Toore Patagonia. Great deal! Depending on which day hike in Torres del Paine you plan on doing there are several ways of getting to the trail head. Renting a car will give you the most freedom and flexibility. In fact this is the only option to do all tours listed here independently (Cerro Paine only if you stay at Hotel Las Torres). Even though it requires you to drive a bit this option will let you save a lot of money as you can stay in Villa Serrano or even Puerto Natales. If you wish to go for this option you should either reserve a car in Punta Arenas way ahead of time online or speak to a few local car rentals in order to get a good deal. Prices for car rentals are high in Patagonia therefore it makes sense to rent a car with a group of friends. Your second best option to see as much of the park as possible is to book certain tours. If you stay at one of the mentioned hotels inside the park you can book numerous tours with your hotel which will then also be your pickup spot. If you are staying in Puerto Natales you can book some of the day tours mentioned here in advance online with GetYourGuide – in this case I highly recommend to go for the Full Paine tour! Bus services to the park are limited, therefore you can only do the first 2 day hikes in Torres del Paine mentioned here if you don't plan on spending at least one night in a hotel inside the park. You can find all information and times for the buses in my detailed TdP guide. If you are fit a good compromise would be to combine the day hike to the Torres with a stay at the Hotel Las Torres in order to do the Cerro Paine tour afterwards finishing it all off with a full Paine tour (you can combine this one with the grey glacier boat trip). This way you could enjoy all highlights of the park in a short amount of time. If you want to go for the full hiking experience you should consider doing one of the multi-day treks in Torres del Paine. I wrote down all information (including route descriptions) needed in order to do it independently in this article. 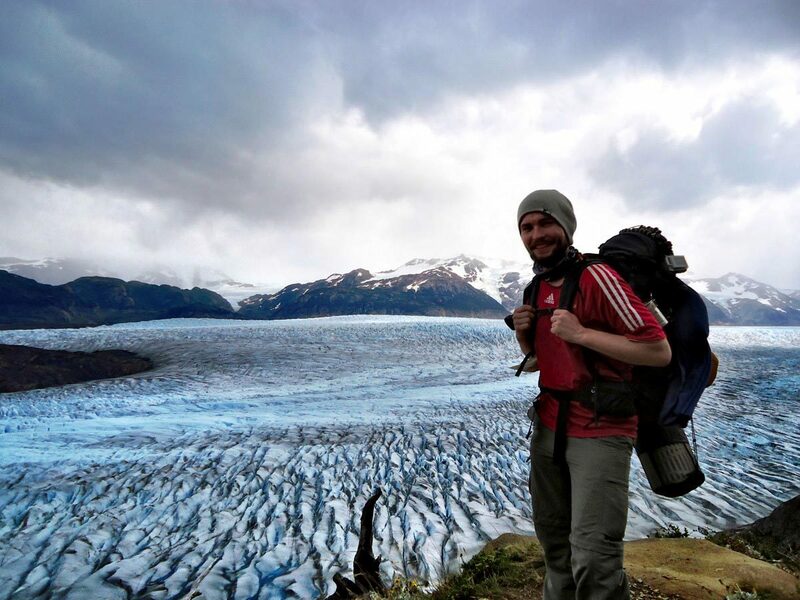 Patagonia & Tierra del Fuego – active 14 day tour covering the highlights of Patagonia, including the Torres del Paine W trek, El Chaltén (Fitz Roy, Cerro Torre), El Calafate (Perito Moreno glacier) and Ushuaia. 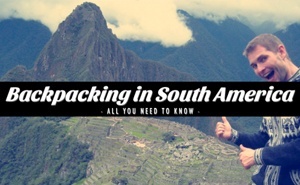 This also includes meals, guide, camps & tents, hotels, transport and porters. 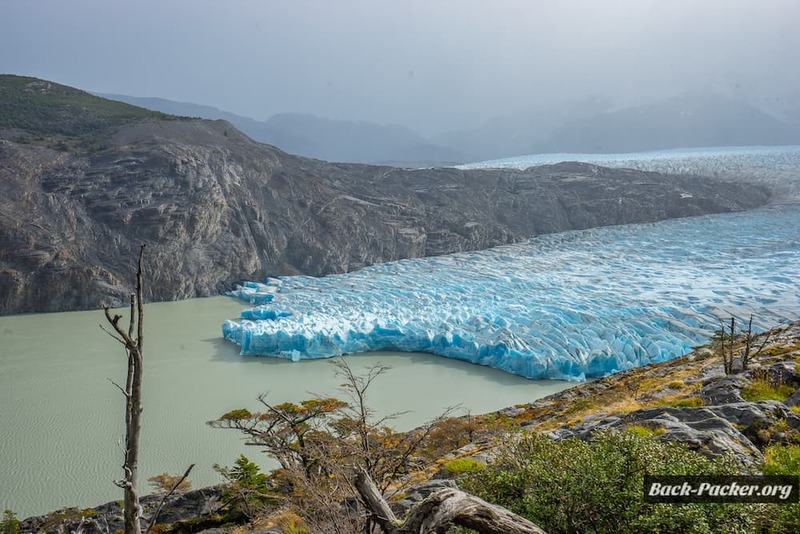 Discover Patagonia (NatGeo Tour) – complete 14 day Patagonia & Tierra del Fuego tour covering all the highlights in the north (Bariloche, Puerto Varas), the south (Torres del Paine – day tour, Calafate, Chalten) and Ushuaia including exclusive National Geographic expeditions and talks. 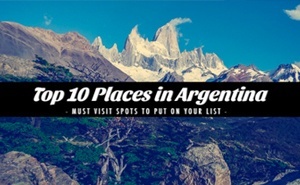 Any day tours or day hikes in Torres del Paine to add? 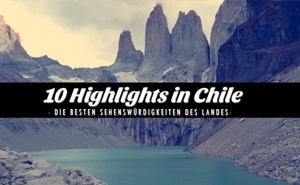 Have you done any day hikes in Torres del Paine which are missing in this list? Get in touch via eMail or let me know in the comment section below! Moreover you can share this article with your friends on Twitter, Facebook or WhatsApp by using the related buttons. This post contains Affiliate Links for services and products I’m using on my travels – therefore I can highly recommend them. 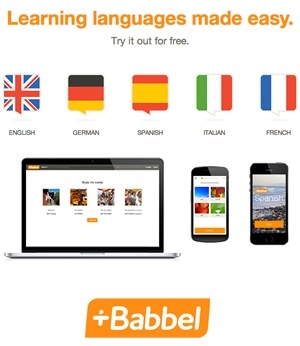 By using these links you won’t pay any additional fees! All recommendations, tips, opinions, and ironic remarks are, as always, my own.